Description: The user can transform their body into mud. While in this form the user is immune to most physical damage. In this form, the user can move around and control mud to a high degree, even more so than the mass of their body, while in this form the user's will move at a taijutsu rank equal to their ninjutsu rank, so if the user had mastery in ninjutsu then their mud body would move taijutsu master speeds, etc. The user can create constructs from their mud body and any mud around them in a thirty meter radius. Any defenses they make from this jutsu, such as walls of mud, will be A ranking, as will any offensive constructs, such as fists of mud. 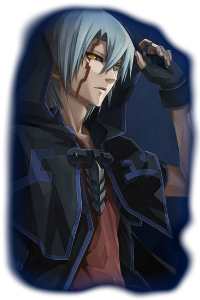 Weakness: Cannon, but the user has a glaring weakness to raiton while in this form, and will still be affected by it. To use this jutsu a person's first element must be doton, and they must have at least 5 other doton justu. Description: This technique is a combination of the Summoning Technique and an Earth Release technique. The user summons a large amount of rock from a giant canyon to be used for other techniques. The user can channel their chakra into the earth to alter the formation at will aiding them in sneak attacks. Alternatively, by offering a donation of blood, they can summon a rock in the design of a drawing they drew in the altering terrain diagram. While controlling the jutsu the user can only use doton and basic ninjutsu. Weakness: cannon but must have a summoning contract with something and have doton as first element. Must have an altering terrain diagram if they wish to use the last part of this jutsu. Description: By flowing their doton chakra into the earth/ground, they user can control multiple sections of rock and move them around their opponent. The user then forms two gigantic sections that crush the opponent while at the same time forming a massive rock. Description: This technique allows the user to eject snakes (max 6) from their wrist or sleeve, usually after a punching motion. The snakes are used primarily to attack from a distance and, being snakes, can inflict multiple poisonous wounds on the victim's body or hold them in place. If bitten the target will have their taijutsu and bukijutsu skill drop by one rank. The snakes can also open their mouths to extend Kusanagi-like blades with C rank sharpness. This technique can also be classified as a variation of the Summoning Technique. This technique can also produce snakes from different parts of the user's body, such as the mouth. Description: By increasing the amount of snakes summoned with the Hidden Shadow Snake Hands (max 20), the diversity of this ninjutsu is increased. The swarm of big snakes appear in an instant, each snake individually doing something like intimidating, diverting, or capturing the enemy in a cooperative attack. Without giving them the time to react, the enemy is entangled. These snakes have poisonous bites and sharp fangs, if bitten a target will have their taijutsu/bukijutsu rank drop by 1, they can also extend kusinagi like blades from their mouths with B rank sharpness. Weakness: cannon but must have snake summoning contract. Description: With this technique, a countless number of summoned snakes crawl out of the user's mouth and sleeves and hunt down the enemy. With such overwhelming numbers, a true "wall of snakes" is formed, making defense and evasion meaningless. The enemy can do nothing but become buried by the snakes. The snakes can bite the enemy with their poison fangs that will cause them great pain and cause their taijutsu/bukijutsu ranks to go down by 1 every 2 posts until treated, and open their mouths to extend Kusanagi-like blades with B rank sharpness, making them even more deadly. Furthermore, when the inexhaustibly crawling snakes gather together, they become a defensive wall, and can block any kind of attack of A rank or lower. Description: The user summons one or two big snakes which crawl out from one's sleeves, and coil around the enemy capturing them. This is a great technique for capturing someone alive, or for inflicting damage by constriction, and if the situation calls for it, the snakes can bite the victim with their poison fangs. With the summons specified beforehand, the procedure can be shortened by using blood on a summoning "contract seal" (結印, ketsuin), making it possible to use the technique immediately. The further addition of the user's killing intent can weaken their target's resolve. Snakes summoned by this technique are on a whole other level in terms of intelligence and strength, compared to normal summons, having strength and speed comparable to that of taijutsu adepts, as well as fangs with B rank sharpness. It is said that even shinobi with great skill are unable to escape from this restraint. Description: Using a snake to enter areas that they might find difficult to access otherwise, the user can manipulate its actions and have the snake morph into themselves, or into a clone, when given the command, this changed happens instantaneously, and when the clone is destroyed it will burst into an explosion of fang bearing snakes, with B rank sharpness fangs that fade away in the nest post. Description: A rip off of toad mouth bind. The user traps the opponent and themselves in the mouth of a a great fire breathing snake. The snake's stomach is very elastic-like as it could even withstand a summon the size of Gamabunta. This interior, even the foothold is unreliable, the enemy finds themselves in a tight spot, having a hard time performing at their usual level of skill, and unable to find a proper response, anything, besides the user and their allies, that stays in one spot while in this jutsu for more than one post will begin to be engulfed by the flesh of the mouth/throat, and it will take taijutsu master strength to escape. If someone besides the user or their allies touches the walls of the throat/mouth their hand will also become engulfed in the flesh and it will take taijutsu master strength to remove it. The inside of the mouth is highly flexible, and adhesive, and won't even allow liberty of movement. In time, the walls of flesh close in and envelop the enemy, dooming them to go inside the stomach where they will be digested. If the user is of A ranking or higher they can control the oesophagus, causing it to expand, contract, or grow in whatever direction they wish. The inside of the snake is highly durable it's walls of flesh able to to take a great deal of damage, S ranking techniques will be able to blast through the wall however except for katon jutsu as the snake itself is used to high degrees of flames moving through its body, note amaterasu is an exception to this. Description: The user summons a basic animal of their summoning contract such as a regular sized snake or frog and hides inside its stomach. While inside their summon the user is undetectable by means of chakra sensory or doujutsu. This can be useful for infiltration missions or for getting to places that usually impossible for humans, as snakes can get into smaller holes, and frogs can dive and swim for long periods of time in water. Weakness: cannon, generic version of the hiding in a toad technique, byakugan can still see person inside. Description: Drawing on the traditional summoning technique, this technique simply alters where the summon will appear, and then draw on the natural girth of a summon, and gravity to create a devastating attack. The bigger the summon the more damage it causes. Description: The user touches the forehead of a target and then, according to a mental image the user forms, the target changes into a the basic animal of their summoning contract. This is mainly used for interrogating several prisoners of war. This terrifying technique will, without a doubt, make an "information leak" open up from others after watching their comrade be turned into an animal. This technique can only be used on those already incapacitated or captured, and those affected will return to normal at the end of the topic. This one confuses me a bit... At the end you mention stone. So does the beam strike, and after it strokes does the chakra "cool" and turn to stone, or is the beam a representation of stone forming extremely quickly? To balance this, as being immune to attacks AND being able to attack from all directions with mud is near-OP, do this: Give it a set duration (something like 3-4 posts) and a cooldown, prolly a kinda long one. Description: This technique is a combination of the Summoning Technique and an Earth Release technique. The user summons a large amount of rock from a giant canyon to be used for other techniques. The user can channel their chakra into the earth to alter the formation at will aiding them in sneak attacks. Alternatively, by offering a donation of blood, they can summon a rock in the design of a drawing they drew in the altering terrain diagram. How does a summoning contract allow you to summon rocks? Summoning contracts are with living things... Can you show me an instance in the manga that it was used so I can better understand? Max amount of rock? Can't be summoning the Grand Canyon yo! Weakness: &nbsp;cannon but must have snake summoning contract. Add a cooldown for balance. If it gives them Adept speeds, make it at least B Rank. Description: A rip off of toad mouth bind. The user traps the opponent and themselves in the mouth of a snake. The snake's stomach is very elastic-like as it could even withstand a summon the size of &nbsp;Gamabunta. This interior, even the foothold is unreliable, the enemy finds themselves in a tight spot, having a hard time performing at their usual level of skill, and unable to find a proper response, anything, besides the user and their allies, that stays in one spot while in this jutsu for more than one post will begin to be engulfed by the flesh of the mouth/throat, and it will take taijutsu master strength to escape. If someone besides the user or their allies touches the walls of the throat/mouth their hand will also become engulfed in the flesh and it will take taijutsu master strength to remove it. The inside of the mouth is highly flexible, and adhesive, and won't even allow liberty of movement. In time, the walls of flesh close in and envelop the enemy, dooming them to go inside the stomach where they will be digested. If the user is of A ranking or higher they can control the oesophagus, causing it to expand, contract, or grow in whatever direction they wish. Hmmmm... Byakugan would be an exception to the "no dojutsu see me" aspect cuz it can see through the toad's belly. Add that and approved. Bed rock- idk the dimensions really, big enough to fully encase a full grown male? not a clue. Mud Body: 8 posts is a lot. Mutability: Extremely hesitant to approve buuut... Ok approved. Bed Rock: Approved, I just didn't want two mountains colliding together yakmow? Bind: How would it react to Ninjutsu? No snake would like a Katon: Great Fire Annihilation going of in their body. 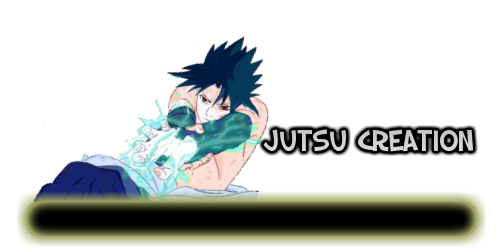 Give it an A-Rank summon's duration since its a summon (too lazy to check what the duration is atm) and add in that any rules that apply to an A-Rank summon within a topic apply to that jutsu. Hiding: Approved, just use logic with it in a topic though. thanks for reminding me, snake was supposed to be fire breathing, added a durability thing in, and max duration.